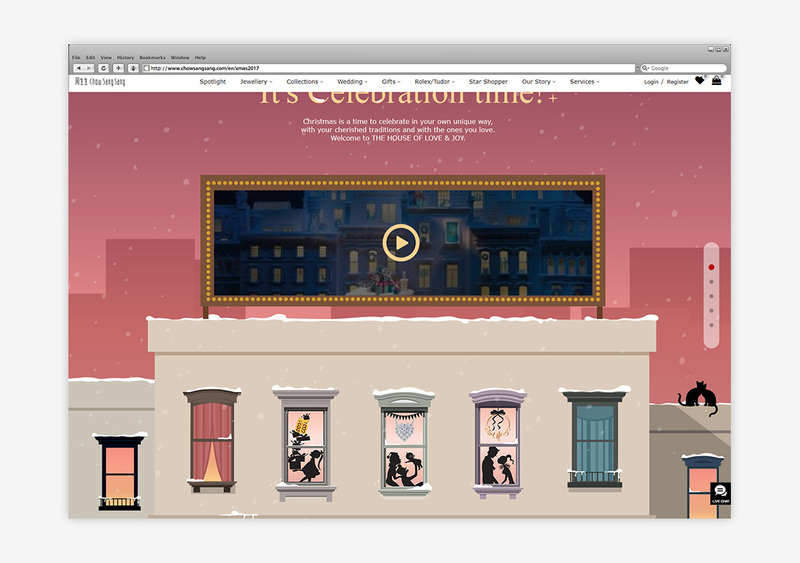 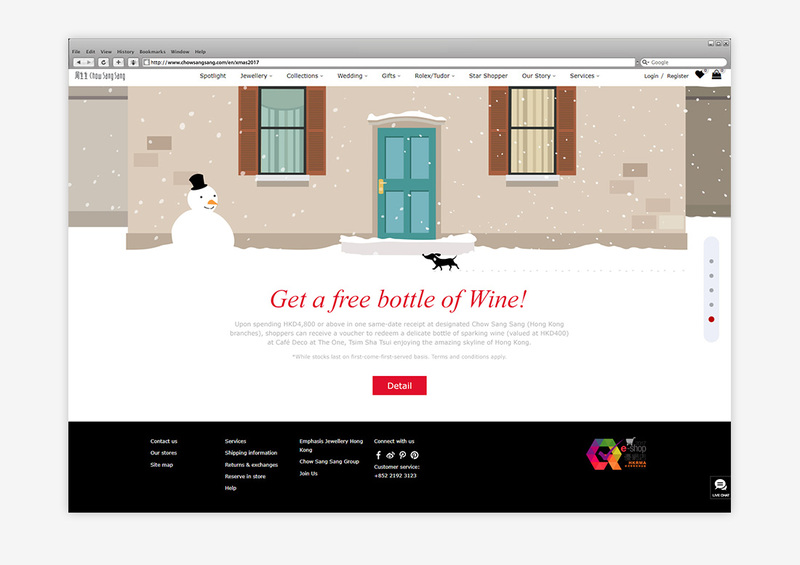 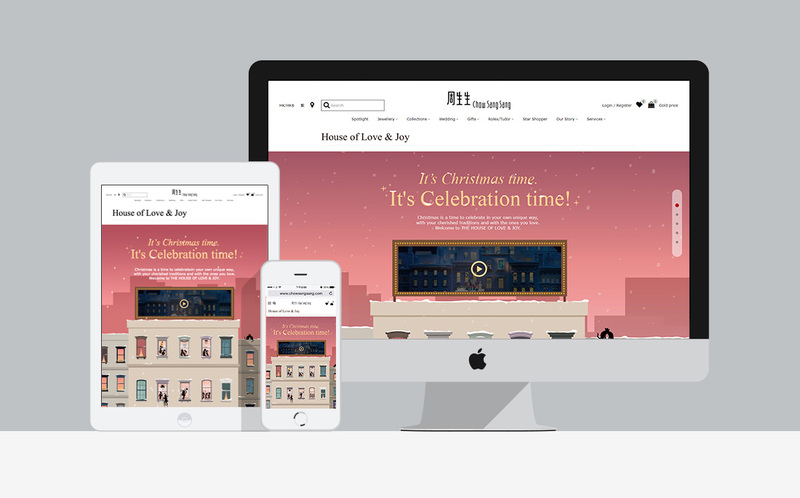 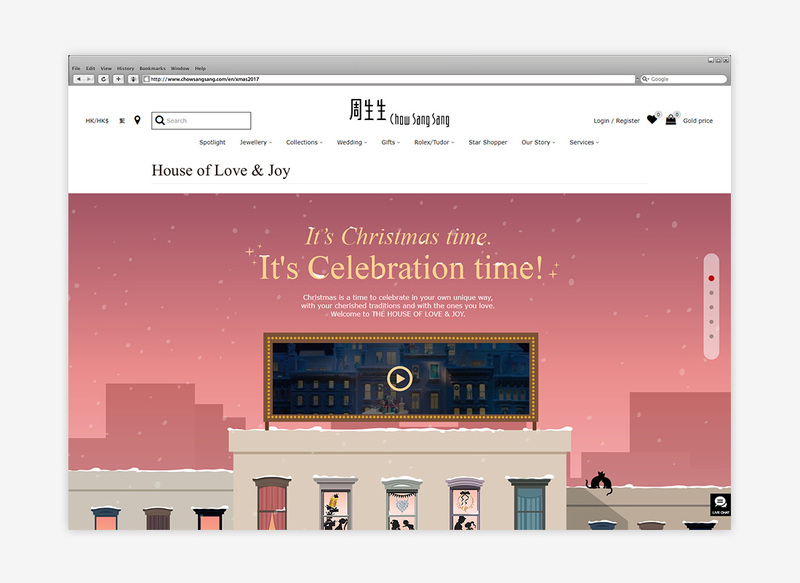 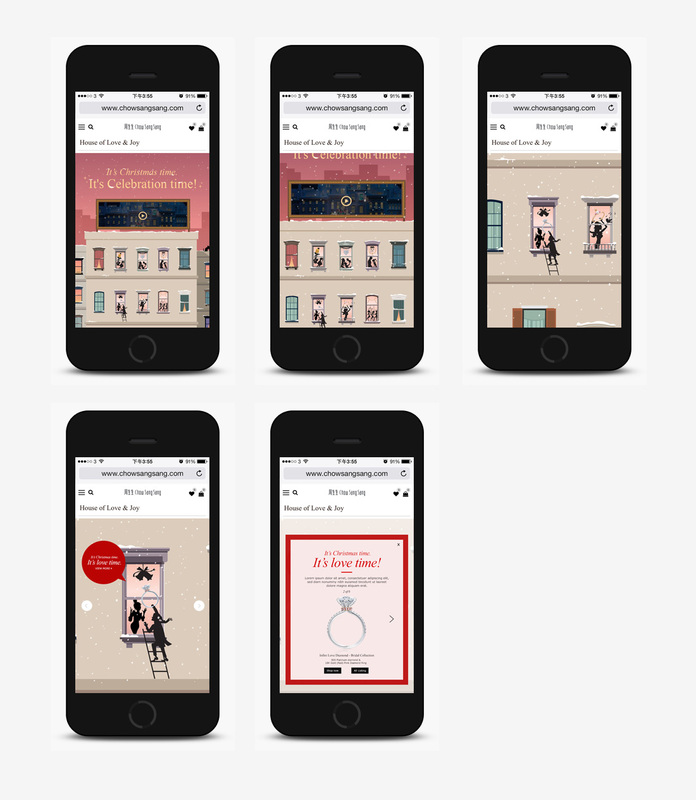 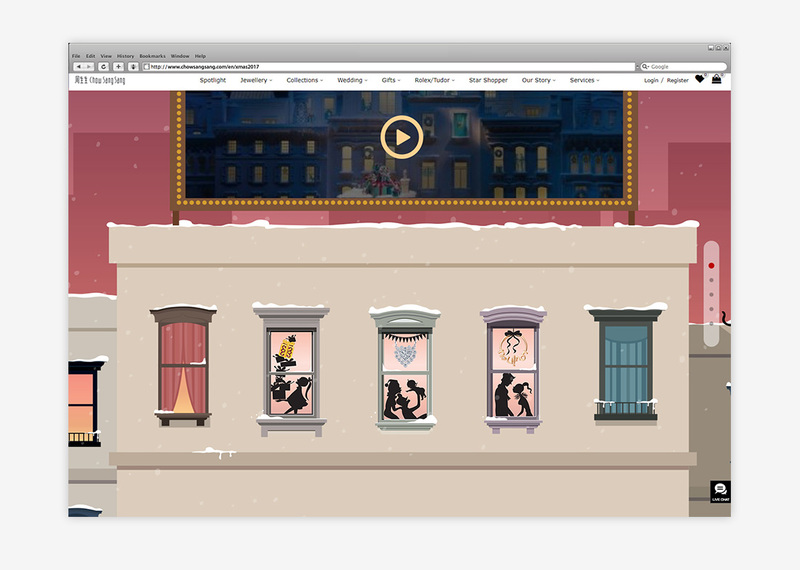 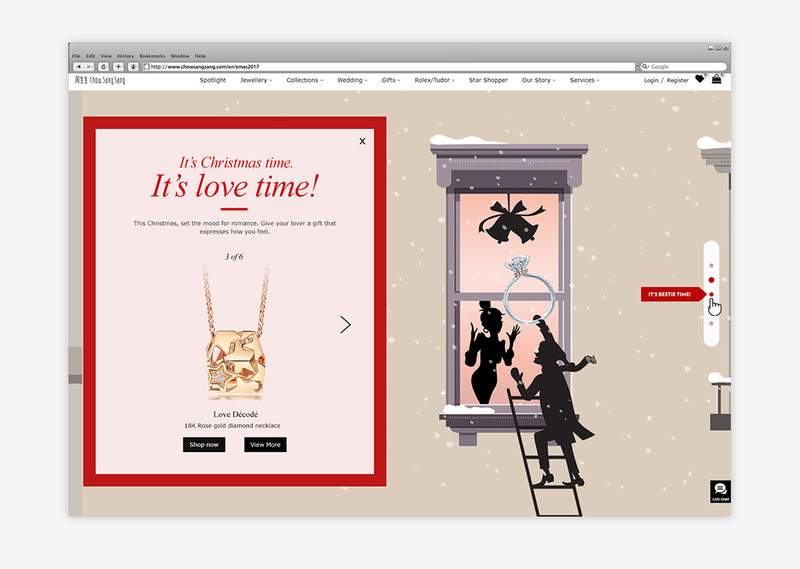 We created all the graphic, animation designs and videos for the online Christmas campaign. 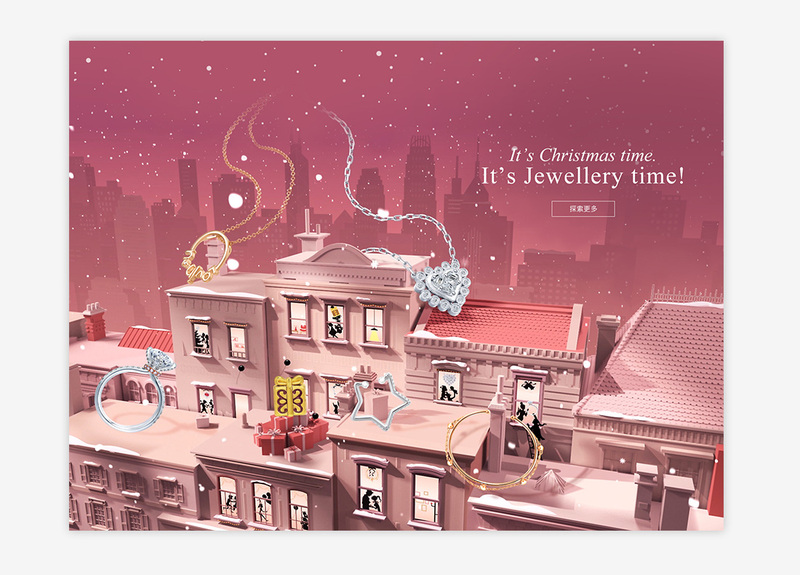 We integrated joyful Christmas element with traditional Christmas Town as a holistic design concept, so as to illustrate the co-relation of Christmas and jewellery. 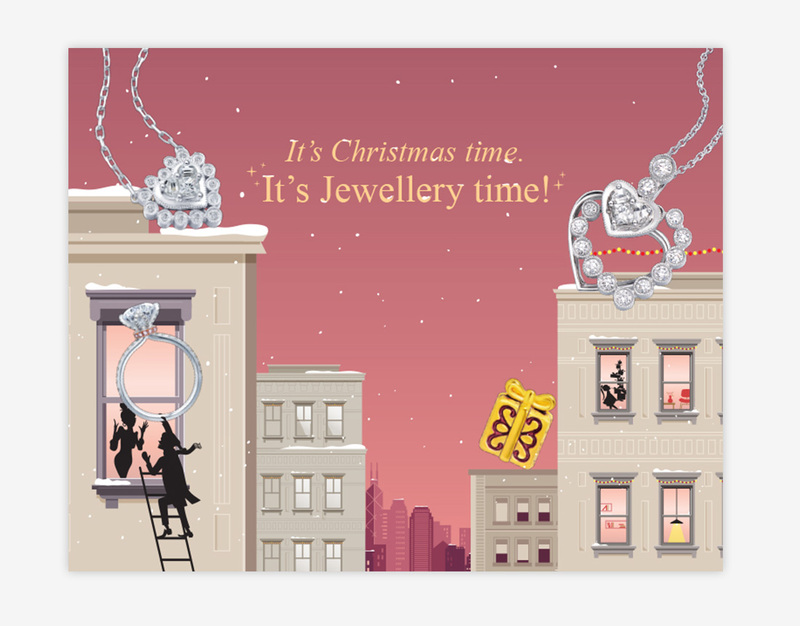 Adding signifying Christmas touch with highlighted jewellery in a pinky wine red atmosphere, helps to sparkling the festive night.